Oil on canvas, 62 x 49 cm. Marstrand received many commissions from Alfred Hage and ended up portraying all three generations of the wealthy merchant’s family. With her delicate and graceful appearance, Alfred Hage’s daughter Vilhelmine became the artist’s favourite model by far. 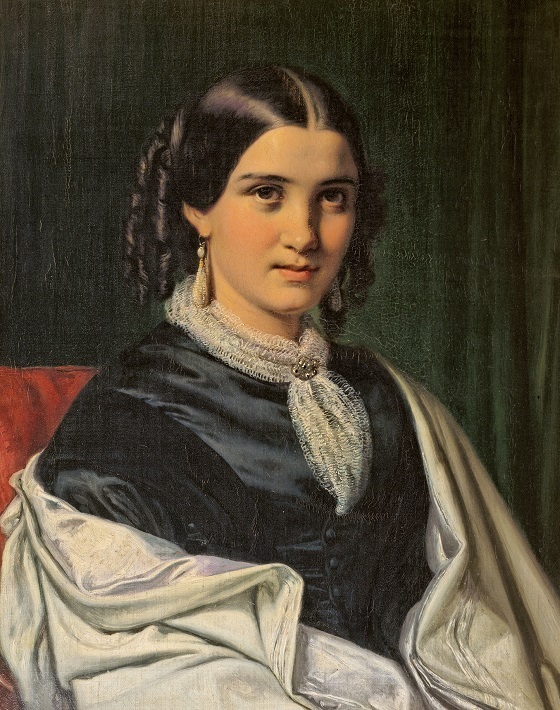 This is a portrait of a young Vilhelmine wearing a loose white shawl and a black silk dress. In addition to reproducing her beauty, the artist also sought to accurately render the qualities of the various materials, which can be seen in the varying luster of the silk, the young lady’s shining hair and the semi-transparent scarf.